Google Software Engineer Paul Haahr has been at Google for more than 14 years. For two of them, he shared an office with Matt Cutts. He’s taking the SMX West 2016 stage to share how Google works from a Google engineer’s perspective – or, at least, share as much as he can in 30 minutes. After, Webmaster Trends Analyst Gary Illyes will join him onstage and the two will field questions from the SMX audience with Search Engine Land Editor Danny Sullivan moderating (jump to the Q&A portion!). 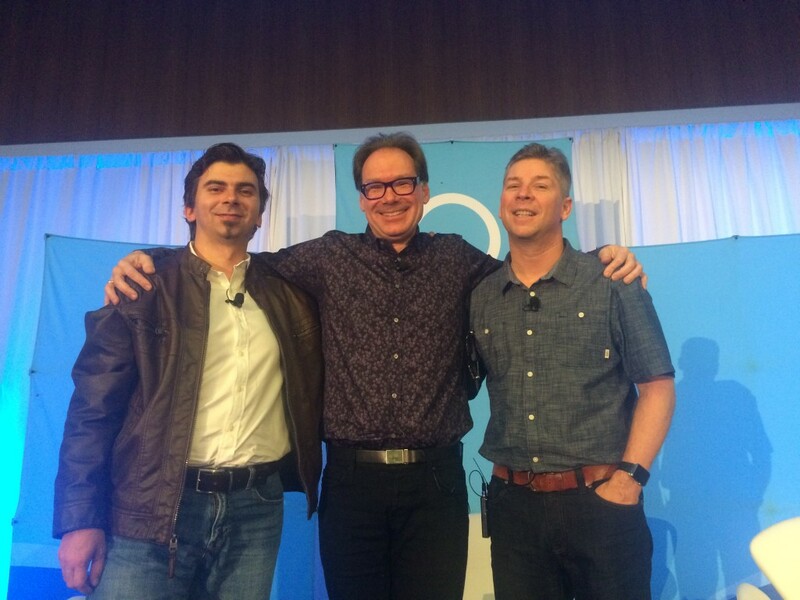 From left: Google Webmaster Trends Analyst Gary Illyes, Google Software Engineer Paul Haahr and Search Engine Land Editor Danny Sullivan on the SMX West 2016 stage in San Jose. Does the query name any known entities? At one time, Google tested 41 different blues to see which was best. Here’s an example of a bad rating. Someone searches for [Texas farm fertilizer] and the search result provides a map to the manufacturer’s headquarters. It’s very unlikely that that’s what they want. Google determines this through live experiments. If a rater sees the maps and rates it as “Highly Meets” needs, this is a failing at the point of rating. Or, what if the metrics are missing? In 2009-2011, there were lots of complaints about low-quality content. But relevance metrics kept going up, due to content farms. Conclusion: Google wasn’t measuring the metrics they needed to be. Thus, the quality metric was developed apart from relevance. SMX: How does RankBrain fit into all of this? Haahr: RankBrain gets to see a subset of the signals. I can’t go into too much detail about how RankBrain works. We understand how it works but not as much what it’s doing. It uses a lot of the stuff that we’ve published about deep learning. How would RankBrain know the authority of a page? Haahr: It’s all a function of the training that it gets. It sees queries and other signals. I can’t say that much more that would be useful. SMX: When you are logged into a Google app, do you differentiate by the information you gather? If you’re in Google Now vs. Chrome can that impact what you’re seeing? Haahr: It’s really a question of if you’re logged in or not. We provide a consistent experience. Your browsing history follows you to either. Does Google deliver different results for the same queries at different times in the day? Illyes: I’m not sure. In Maps, for example, if we display something maps related we will show the hours. It doesn’t change what shows up, to Gary’s knowledge. SMX: What’s going on with Panda and Penguin? Illyes: I gave up on giving a date or timeline on Penguin. We are working on it, thinking about how to launch it, but I honestly don’t know a date and I don’t want to say a date because I was already wrong three or four times, and it’s bad for business. SMX: Post-Google Authorship, how are you tracking author authority? Haahr: There I’m not going to go into any detail. What I will say is the raters are expected to review that manually for a page that they are seeing. What we measure is: are we able to do a good job of serving results that the raters think are good authorities. SMX: Does that mean authority is used as a direct or indirect factor? Haahr: I wouldn’t say yes or no. It’s much more complicated than that and I can’t give a direct answer. SMX: When explicit authorship ended, Google did say to keep having bylines. Should you bother with rel=author at all? Illyes: There is at least one team that is still looking into using the rel=author tag just for the sake of future developments. If I were an SEO I would still leave the tag. It doesn’t hurt to have it. On new pages, however, it’s probably not worth it to have. Though we might use it for something in the future. SMX: What are you reading right now? I think the basic of SEO like link building, op-page / off-page optimization techniques are still the root of building a successful blog and get better ranking. First time I read about the working of Google. This is a wonderful knowledge. Thanks for sharing this info with us.